Coal mafia Abdul Ahad Choudhury, a resident of Sutarkandi in Southern Assam’s Karimganj district, didn’t expect that the coal that he deals with, one day would blacken only his own face. Nor did Abdul Ahad expected that after keeping some very high profile denizens of this region happy, he would face the brunt of getting arrested one day. He was arrested by Katigorah police in Cachar district on July 9 and subsequent search and questioning, a diary was found from his residence that had many incriminating revelations and names of top officials and leaders whom he used to pay every month in order to keep his business of ‘black gold’ – coal, alive. A written statement of Rs 3 crore 51 lakh paid to 17 high profile officers and leaders were found in this diary. The dairy also revealed that DIG Southern Range is paid Rs 80 lakh per month while SP Cachar is given Rs 70 lakh. SP Karimganj and SP Hailakandi are paid Rs 5 lakh and 6 lakh respectively. DC Karimganj is paid Rs 2 lakh per month while three other MLAs from this region as well get a cut for allowing this illegal trade to flourish. 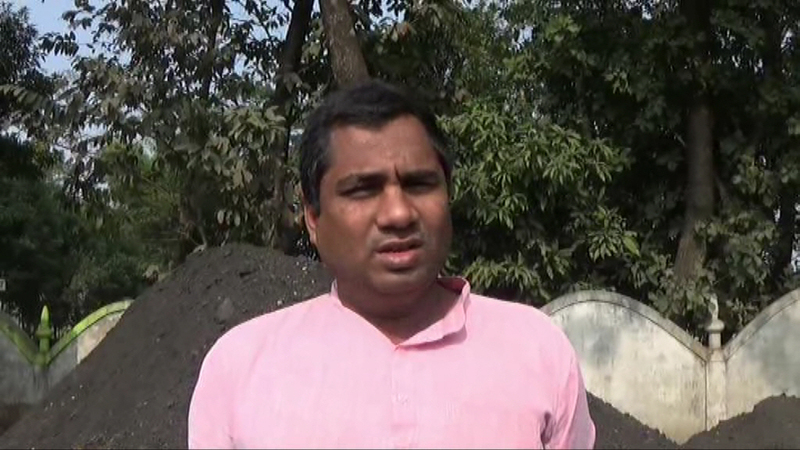 BJP MLA from Katigorah in Cachar district Amar Chand Jain is being paid Rs 20 lakh each month for this constituency is the entry point from Meghalaya to other parts of Barak Valley and its neighbouring states. The other two MLAs get Rs 10 lakh and 3 lakh each every month. Mounting pressure and news of bare illegal acts of Abdul doing the rounds on social media, Karimganj SP Gaurav Upadhay briefed the media last evening and informed that there were 37 cases against the coal mafia, but for lack of witnesses coming forward to nail him, every time he escaped from their radar. But now that this dairy has names of very high profile officers and leaders, a threadbare investigation would be done in this regard, SP Upadhay said. Assam DGP Assam Kuladhar Saikia also said in Guwahati that if found evidence, police will take action against everyone involved in the scam, including police officials.